ZenmaX intense bootcamp, unleash your power with a smile! Bootcamp training started early this century in the United States, as a methodology based on the sports training routine of the US Army. ZenmaX intense has its own training philosophy, working out, outside in fresh air, back to nature. ZenmaX intense with certified trainers; you can also hire a Personal maX trainer to get started on a 1 to 1 basis. 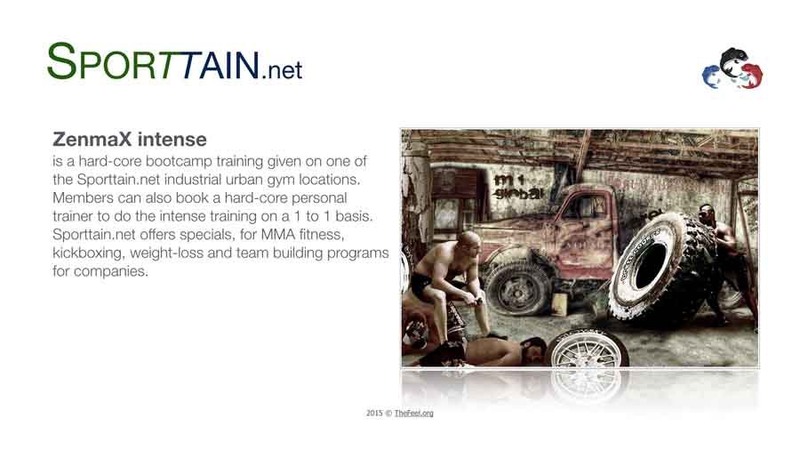 ZenmaX intense organizes summer specials include MMA fitness, kickboxing, weight-loss and team building for companies and organizations. Training on outdoor has faster results due to the additional oxygen uptake! Sporting in a group and then chill out together. Qualified and motivated Personal Trainers at your fingertips. Inspirational by the availability different specials.